A recent article by Bloomberg cites research provided by RedFin and the U.S. Census Bureau (and other sources) showing that in 2015, fifty-two of the nation’s 100 largest cities were majority-renter. 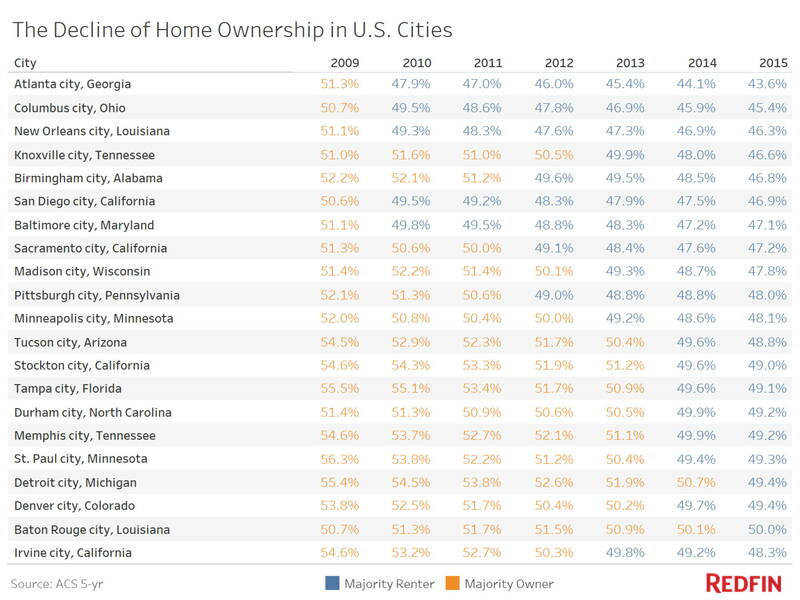 In fact, twenty-one of those cities shifted over to the renter-majority column since 2009 alone. With a shortage of homes on the market it is understandable that renting is taking a greater share of the market, but is that the only dynamic at play? Bloomberg suggests that the American Dream now increasingly involves a lease, not necessarily a mortgage. Click here to read the full story on Bloomberg.com.